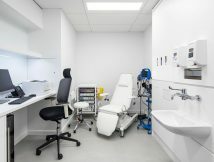 Rockfon acoustic ceilings are installed in a new state-of-the-art health assessment clinic, Preventicum, in Central London. This specialist healthcare provider offers bespoke, in-depth health evaluation and diagnostics which includes full-body scanning. Rockfon Mono Acoustic offers a unique solution for ceiling design as it combines high acoustic performance with a smooth, white, seamless surface. 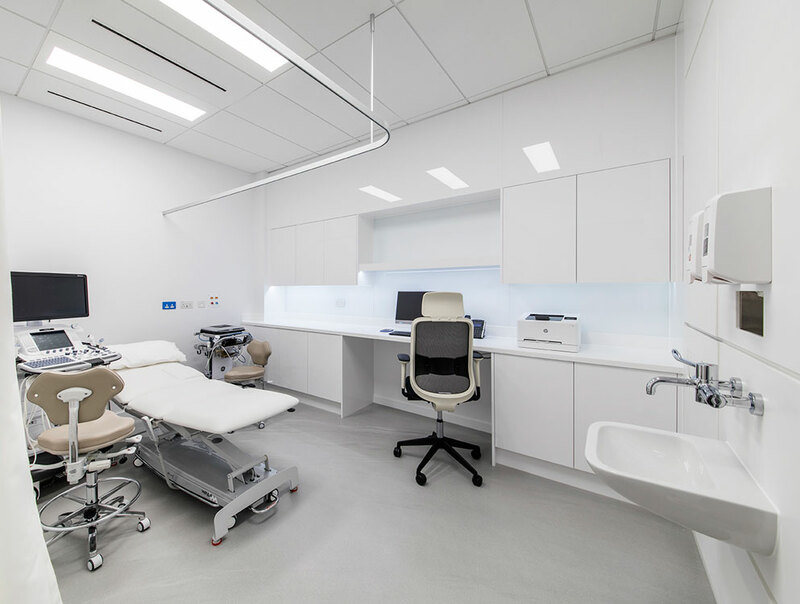 The Class A sound absorption of our monolithic ceiling significantly decreases echo and reverberation levels, creating a relaxed environment where confidential communication between doctor and client is optimised. We’ve worked closely with Panarc Interior Solutions for many years and together delivered the finished ceilings. Business Development Manager Daniel Davies explains, “We’ve always worked well with Rockfon and find that their products are easy to fit and always look good. 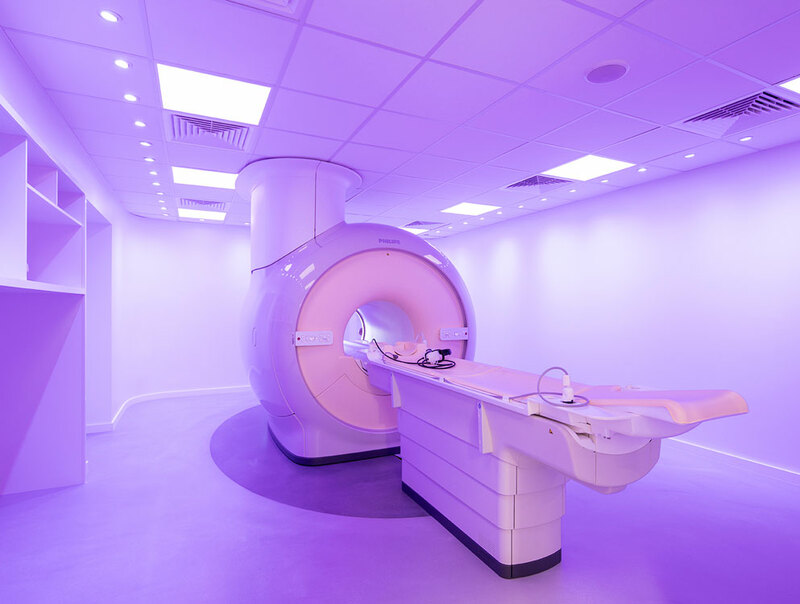 For this project acoustics were a key factor in choosing the ceilings, along with visual appearance and cleanability for the medical areas. Rockfon fitted the brief perfectly.” The project was supplied by distributor CCF Harmondsworth in West Drayton, London. The Class A sound absorption of Rockfon® MediCare® helps create a comfortable atmosphere in the clinic’s medical assessment rooms. 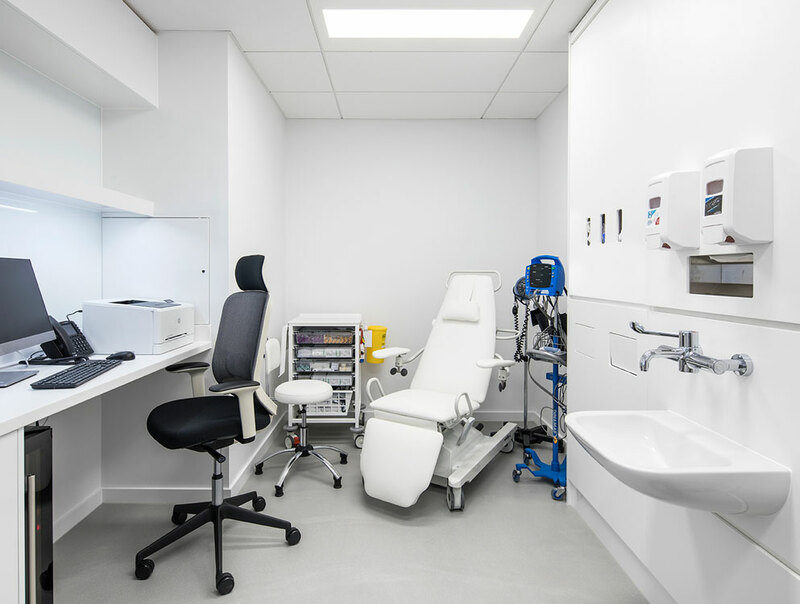 The stringent hygiene characteristics required for the clinic’s medical rooms made Rockfon MediCare the obvious choice. Its highly durable, easy to clean surface is resistant to MRSA and other ubiquitous micro-organisms, making it fully compliant with HBN 00-10 Part B walls and ceilings and HTM 08-01 acoustics for healthcare environments. Our outstanding technical ceiling specifications continue in other areas of the building. For the waiting room and circulation areas, the architect designed open and light spaces. Here the smooth, deep matt, super white surface of Rockfon Blanka® helps create bright, comfortable environments. The ceilings’ 87% light reflection and 99% diffusion improve the lighting conditions utilising natural daylight as much as possible, and contribute to energy savings. All our ceiling products are manufactured from stone wool. This makes them non-combustible, which is why they achieve the highest and safest reaction to fire rating, A1. They’re also durable, cost-effective to maintain, and enhance any interior design. If you’re working on a healthcare project and would like information on how to ensure your building interior meets strict hygiene requirements, visit our website www.rockfon.co.uk or email us at info(Replace this parenthesis with the @ sign)rockfon.co.uk. Our online BIM library has a full selection of BIM assets that will assist you with your project design. We also now have a RIBA Accredited CPD focussing specifically on acoustic ceilings for healthcare; please call 0800 389 0314 to book your seminar.